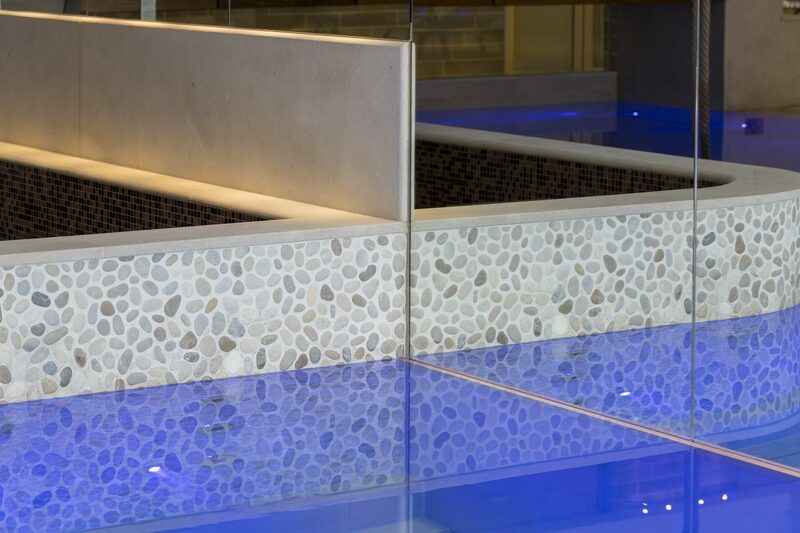 A place for tranquillity and relaxation. 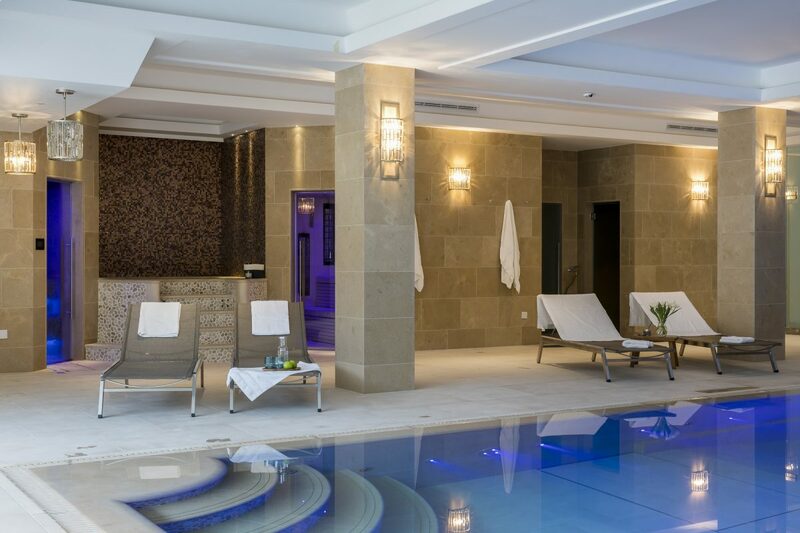 An exceptional private spa with pool, hot tub, steam room, shower and changing room. 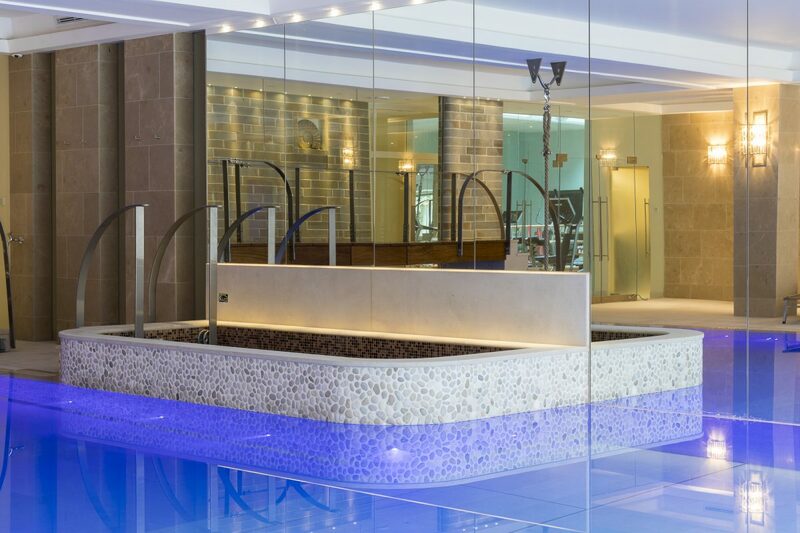 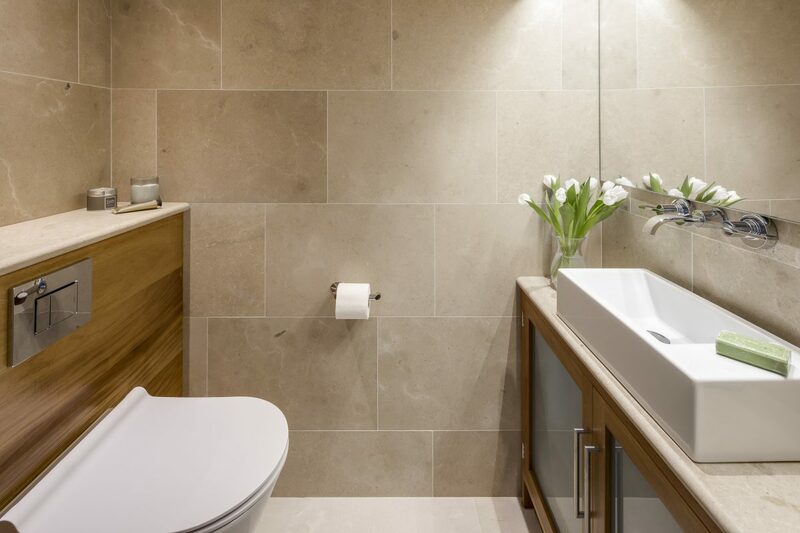 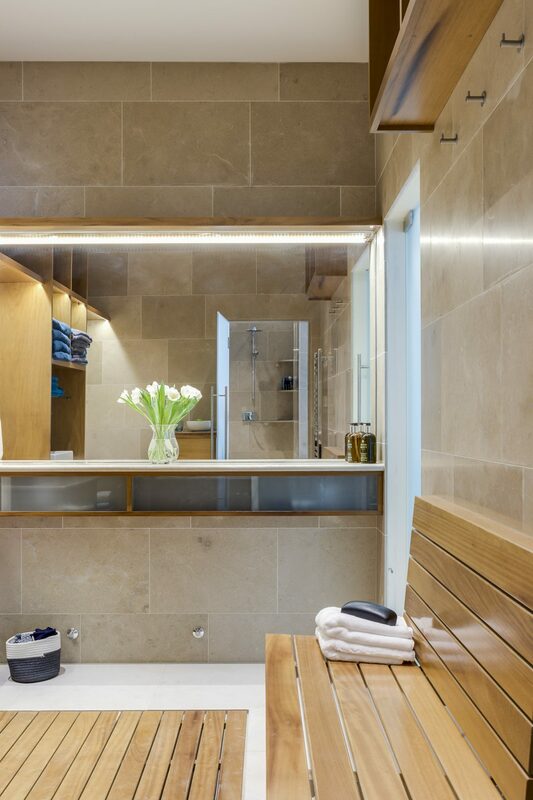 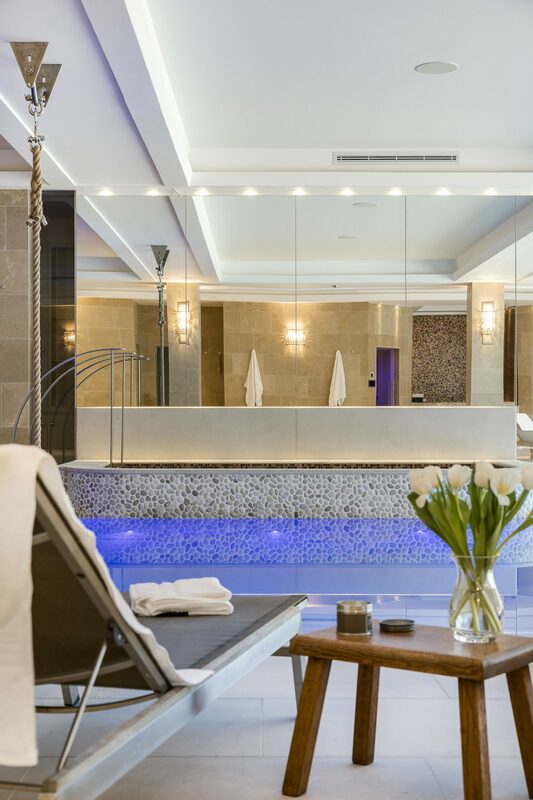 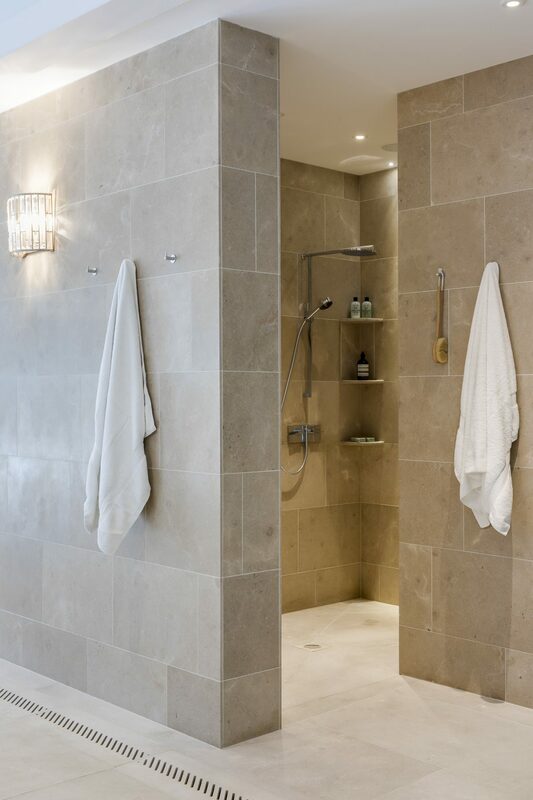 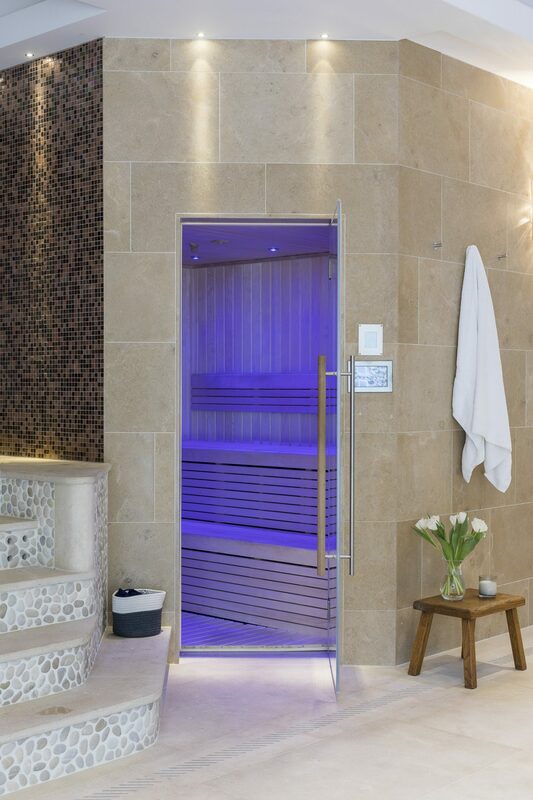 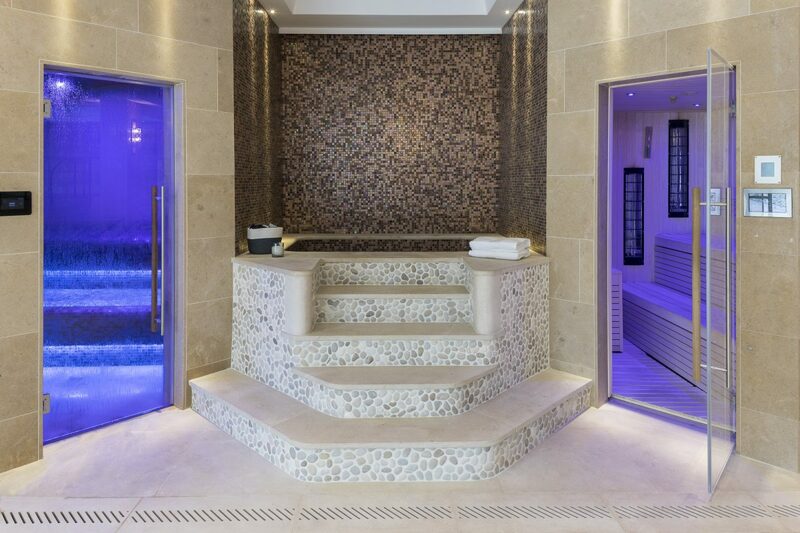 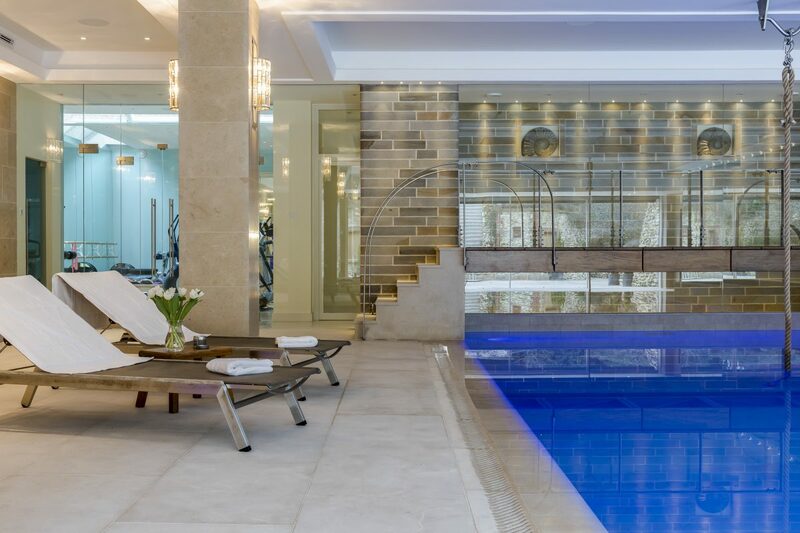 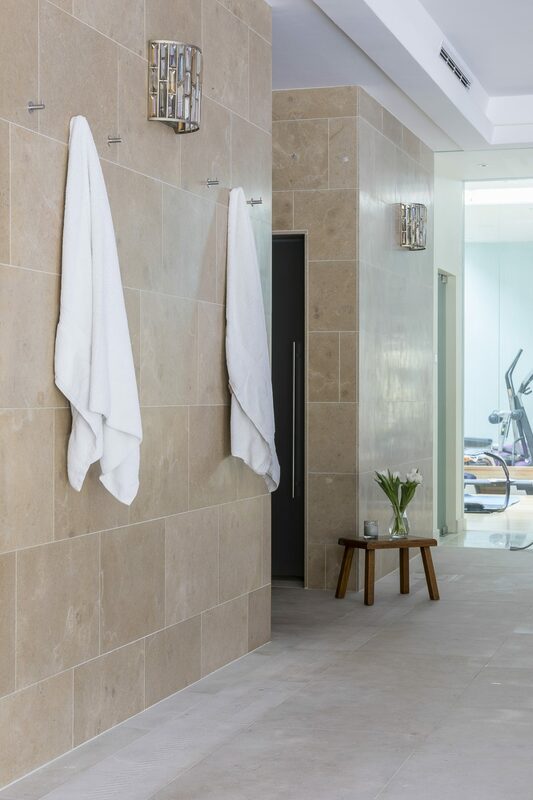 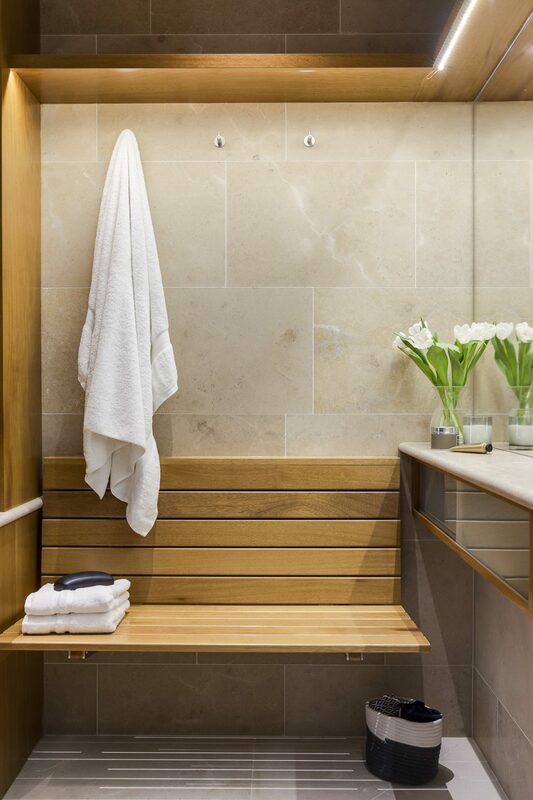 The homeowner commissioned Artisans of Devizes to supply limestone, porcelain tiles, glass and pebble mosaics to complete the luxurious spa look. 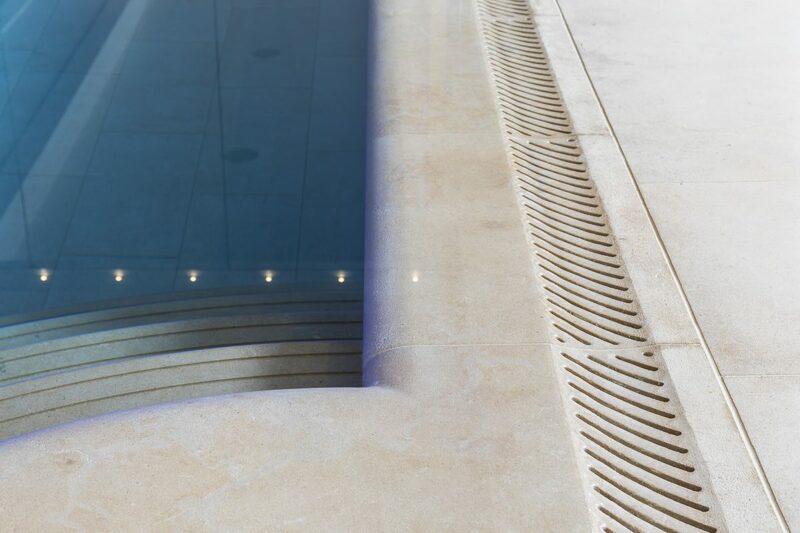 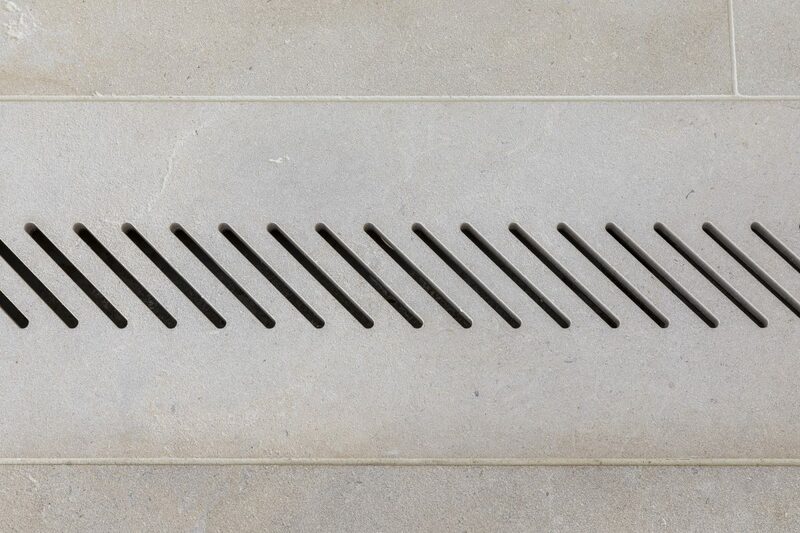 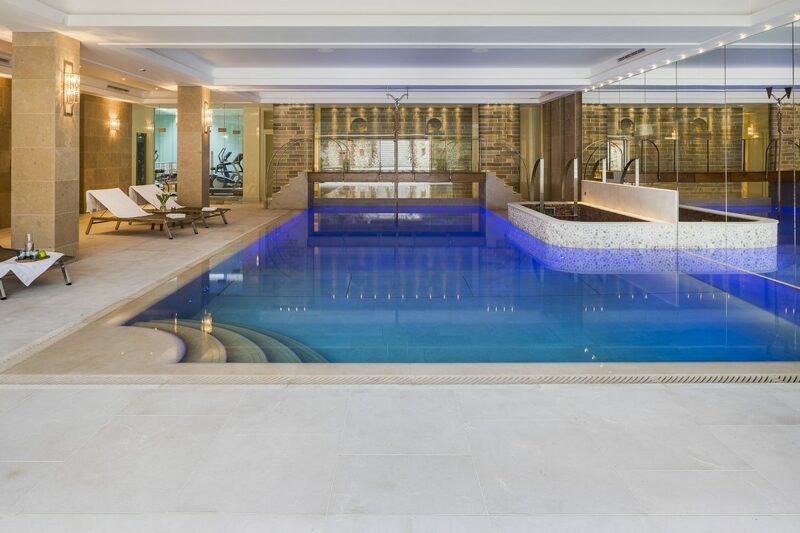 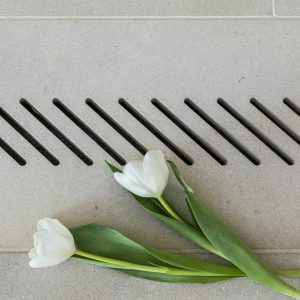 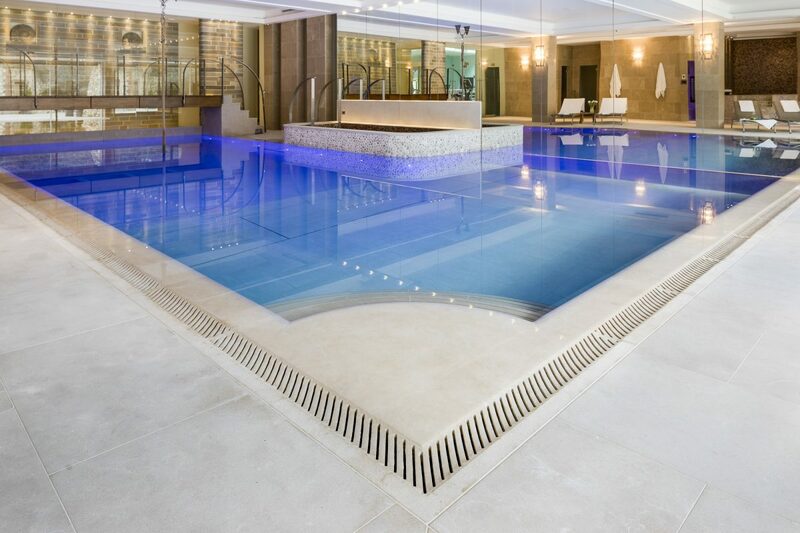 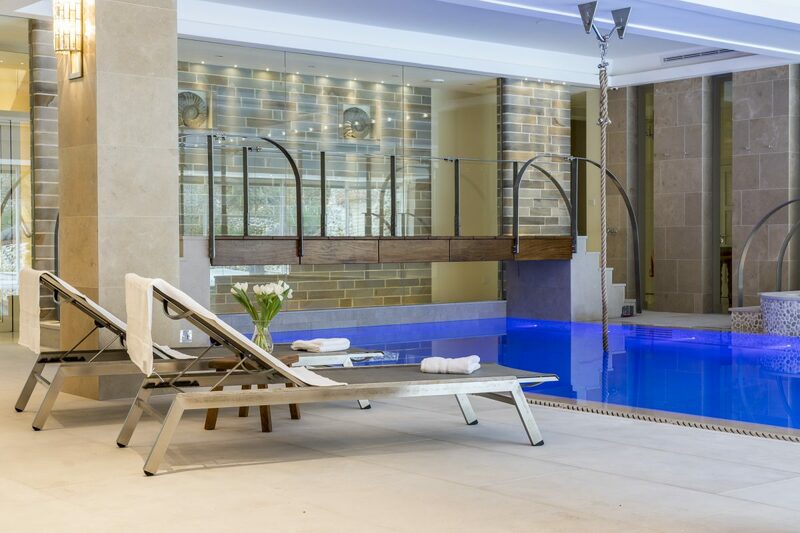 Abbotsbury Porcelain Sabbia was provided for the pool lining, as our client wanted a contemporary finish, while for extra grip around the pool and spa tub, we supplied Buscot etched stone tiles and grilles. 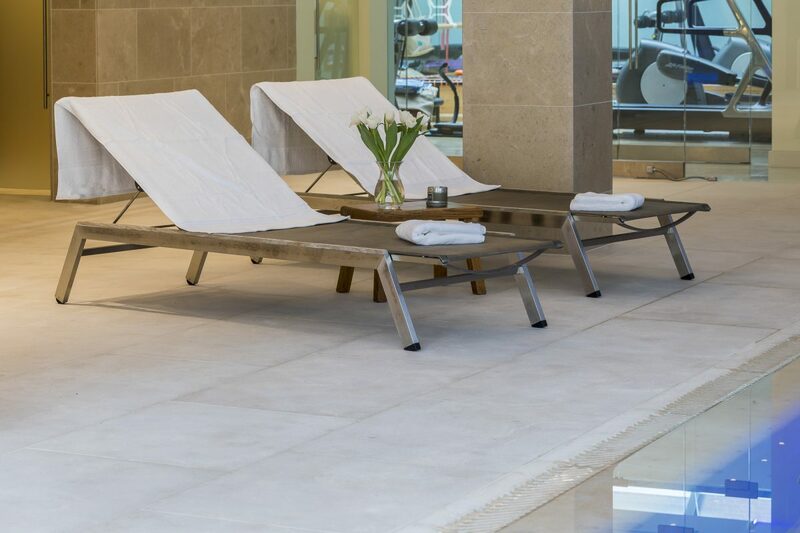 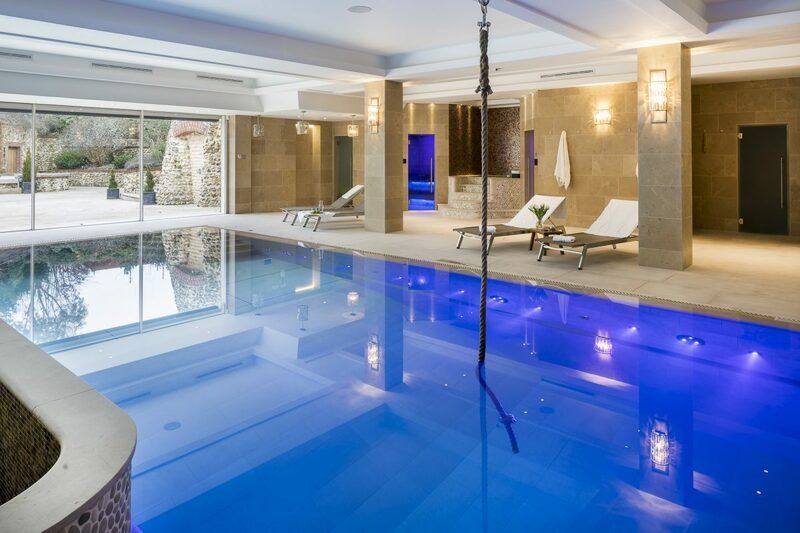 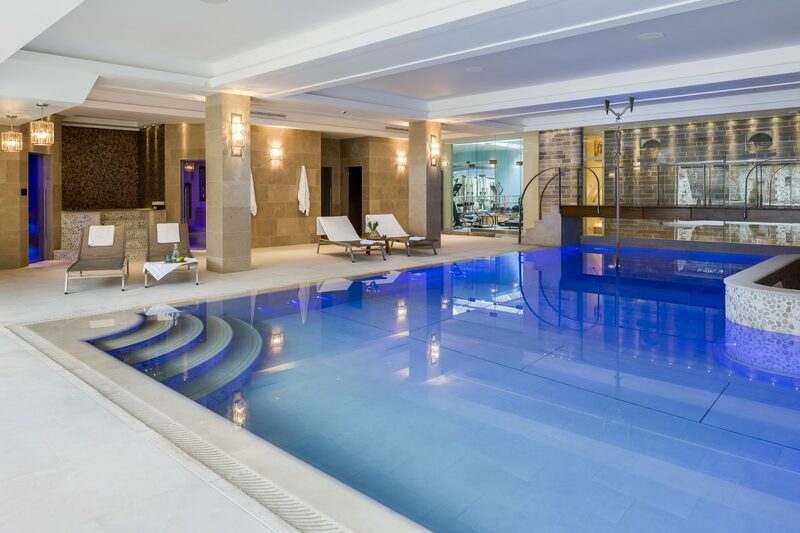 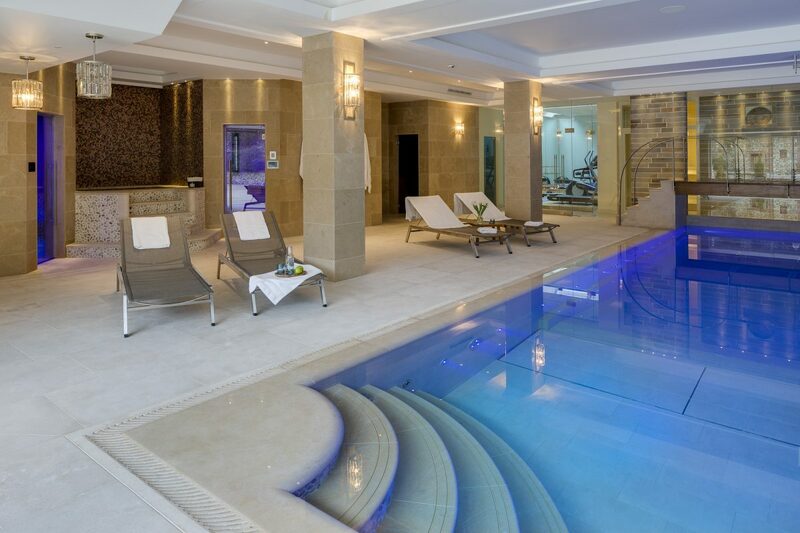 The pool walls and columns are Buscot limestone in a honed finish, which replicates that spa, polished look. 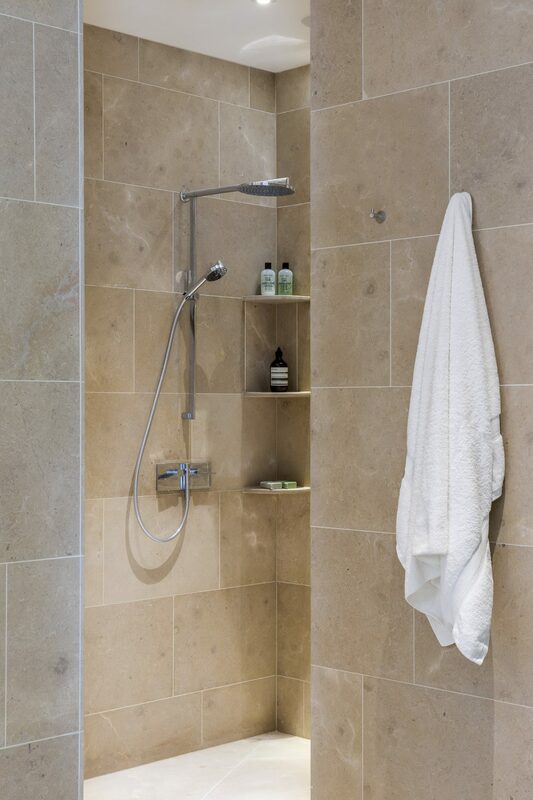 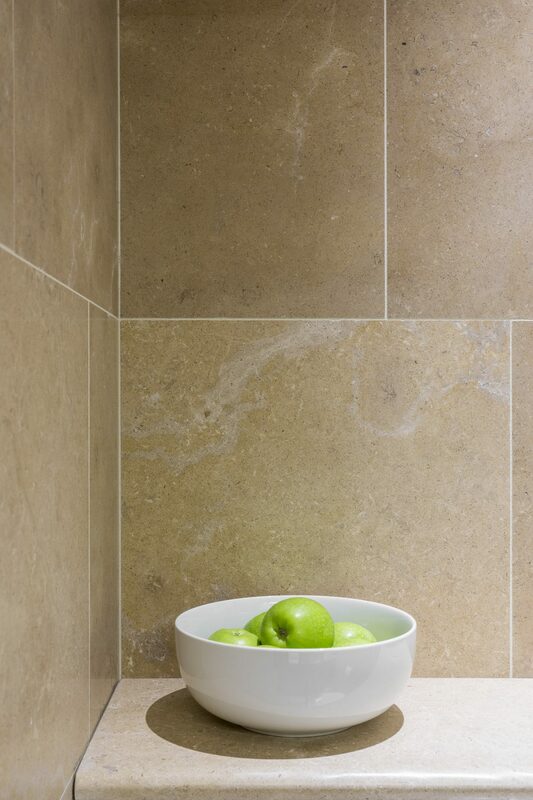 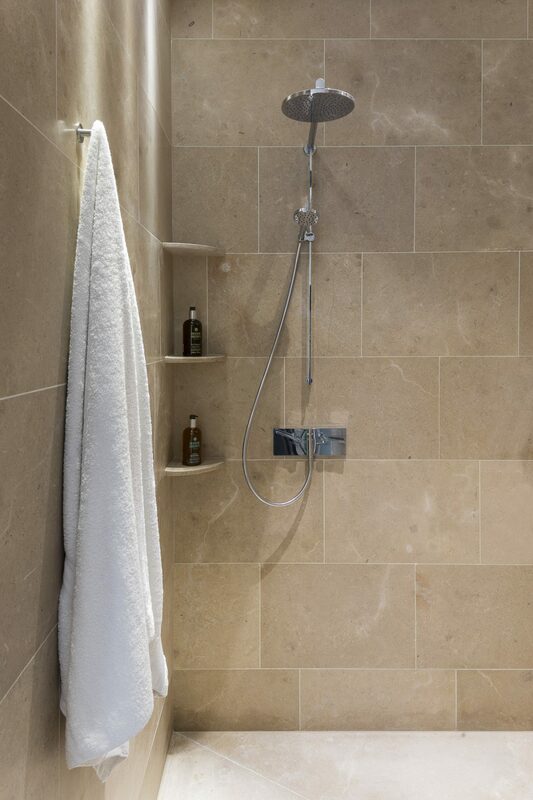 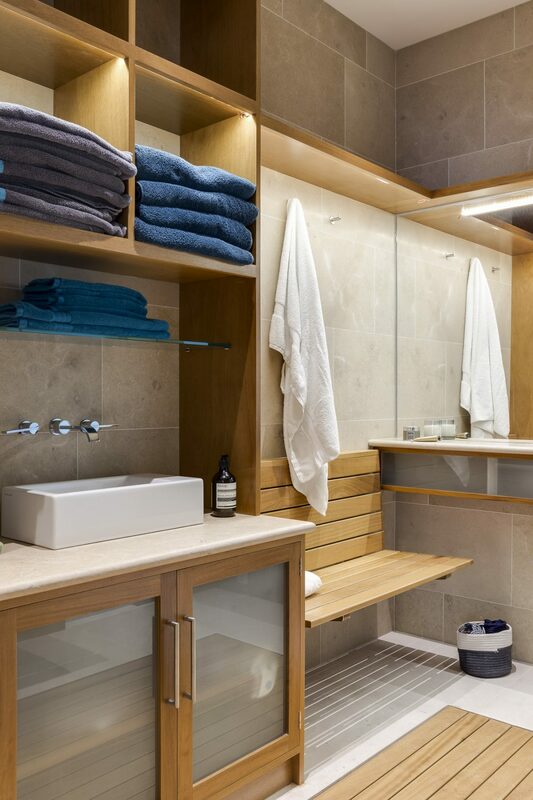 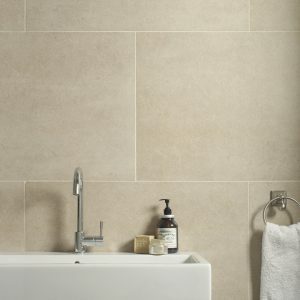 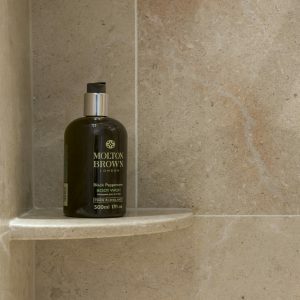 We also supplied Buscot honed for the shower and changing room walls and floors. 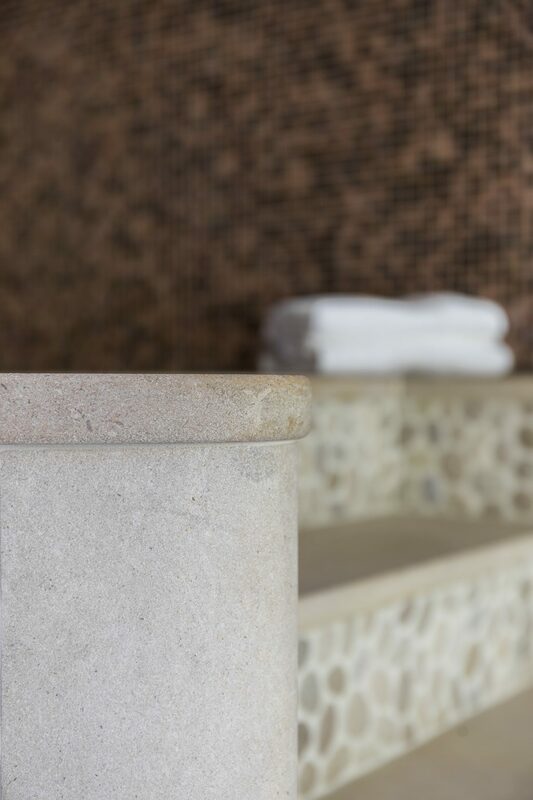 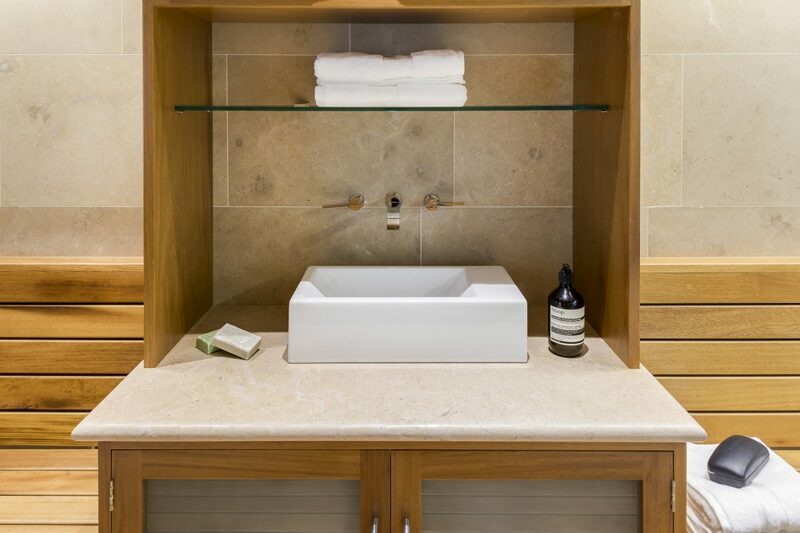 The limestone’s neutral colour palette and smooth finish completes the desired spa design the client wanted to achieve. 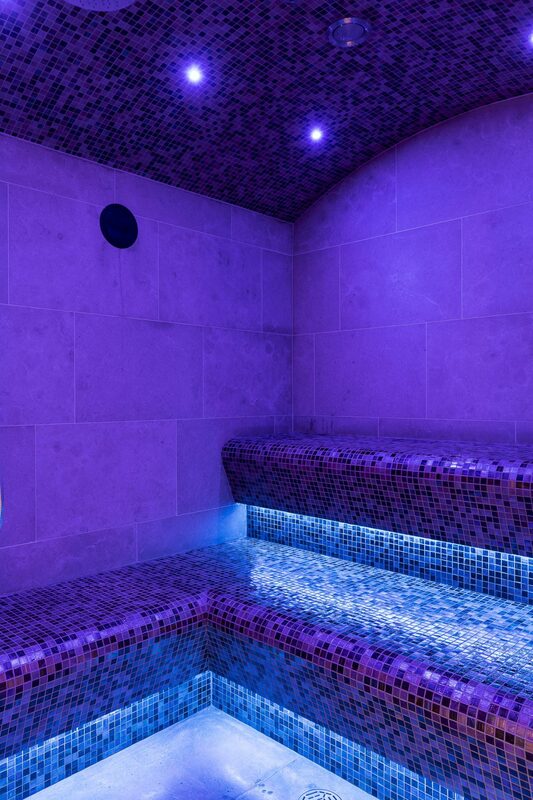 To create a sense of space, glass mosaic tiles were added to the steam room and around the plunge pool. 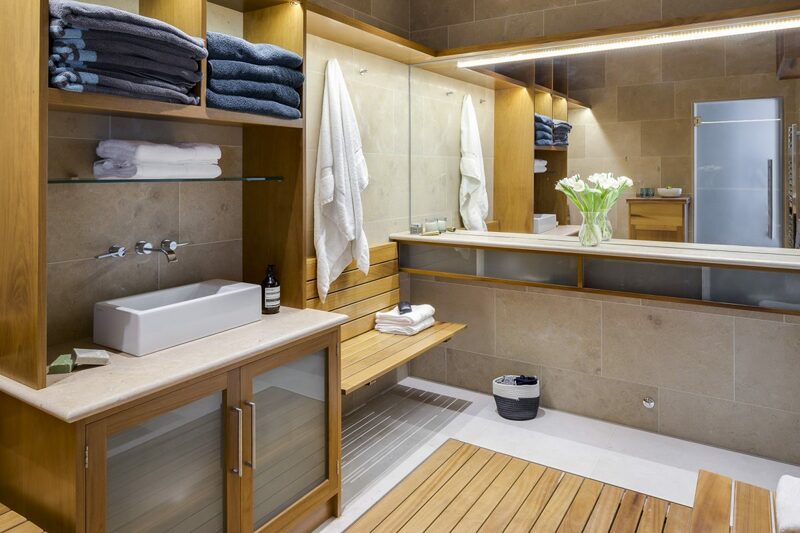 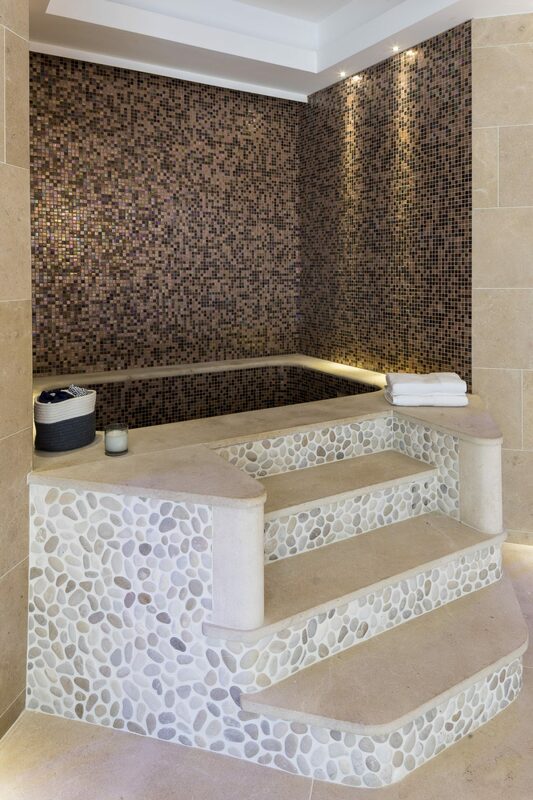 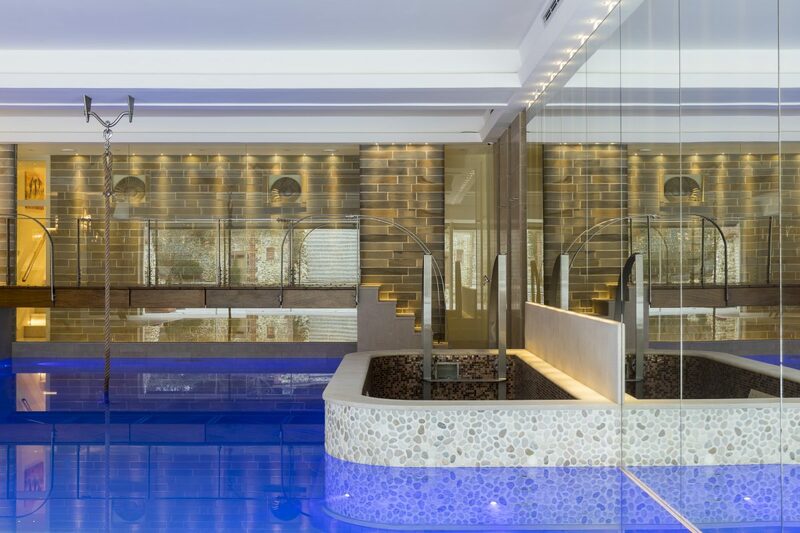 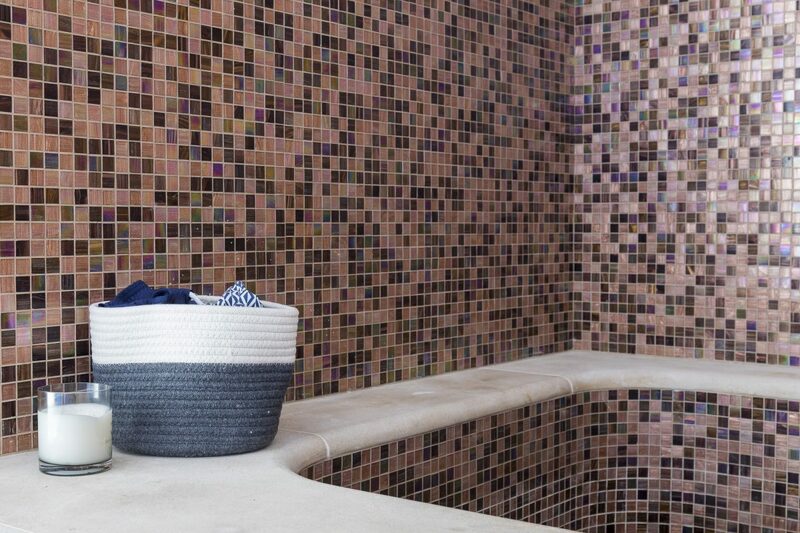 For the spa tub and plunge pool, we supplied eight square metres of pebble mosaic tiles. 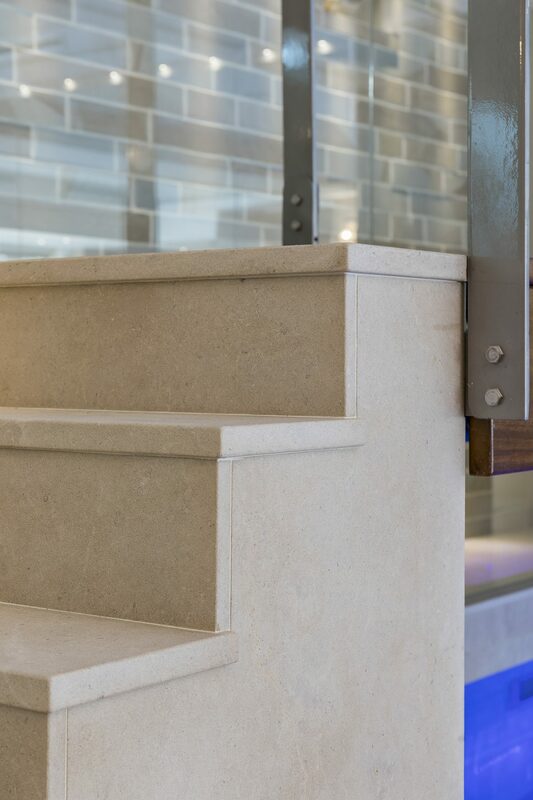 The client ordered bespoke Buscot limestone for the spa capping, step to bridge and pool steps. 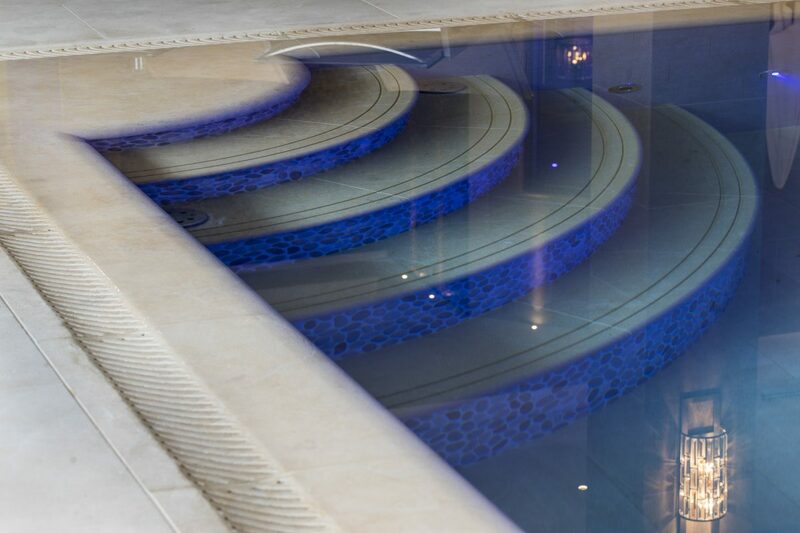 We went on site to template the bespoke work with the client and provided technical drawings of the spa to show the finished result.